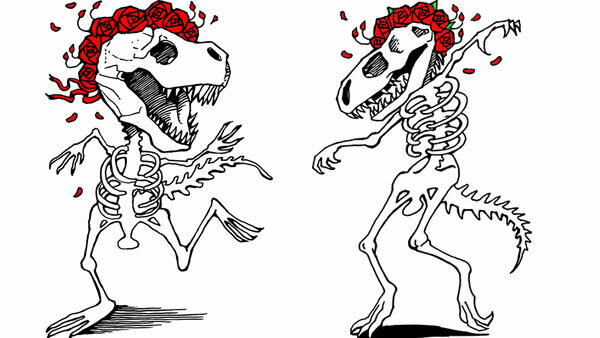 CHICAGO (WLS) -- The Field Museum will host "Everything Is Dead at the Field Museum," a celebration of the Grateful Dead in July featuring concerts and a special exhibition. The celebrations will coincide with the Grateful Dead concerts in Soldier Field, July 3-5. The special exhibition is called "All The Years Combine: Deadhead Treasures from the The Grateful Dead Archive & GDTS Too" and will feature objects from the band's career documenting the special bond between the Grateful Dead and their fans. Visitors will be able to see fan correspondence, newsletters, drawings, posters, tickets, backstage passes and more. The exhibit will be on display in the Stanley Field Hall from June 28-July 5. On July 4, the museum will host "Jazz & Colors: Wave That Flag," a performance featuring 10 local jazz ensembles playing songs by the Grateful Dead from 12:30 p.m. - 3 p.m. The museum will also host "Everything is Dead" 50th anniversary celebrations on July 3, 4 and 5. These celebrations coincide with the Soldier Field concerts and offer a gathering place for Deadheads before the show. Additional information and tickets can be found on their event websites.